IN Filipino lore, from the splitting of a bamboo emerged the father and mother of creation, Si Malakas at Si Maganda. Strength was the virtue of the first man while beauty graced the first woman. Like other myths, this may be interpreted in various ways. Power is inherent in men while women rely on their wiles to lure the men who will champion their cause. Another perspective is that being “malakas (strong)” and “maganda (beautiful)” may be attributes present in both sexes. The myth of Si Malakas at Si Maganda is deceptive and pernicious, enduring in the social binaries of power and powerlessness, with the world segregated into those possessing the former (men) and the conditions of the others (women) betraying the latter. Last March 8, International Women’s Day, reminded the world that powerlessness is not the lot of women. Testaments of women’s subordination are preserved in recorded history, much of it written by men who have crowded out women as writers, historians and journalists. The history according to men ignores the contributions of women to society, not necessarily while occuping positions of influence and prominence but in carrying out myriad, invisible, but essential roles as unpaid managers of households, partners raising families, tillers of the land, stewards of resources, leaders of the faith and movers of community. Whether occupying positions in formal structures or laboring unacknowledged in informal sectors, women exercise their agency when they rely on their efforts, tap resources and create linkages with other women and men to articulate their real needs, solve their problems, resist iniquities oppressing humanity and assist others, including men, who are in need and deprived of their rights and liberties. Power is so often defined from the standpoint of the dominant and masculine, we are blind to the other ways that power is exercised by others to steer directions, empower the disenfranchised, resist exploitation and strengthen the ranks. 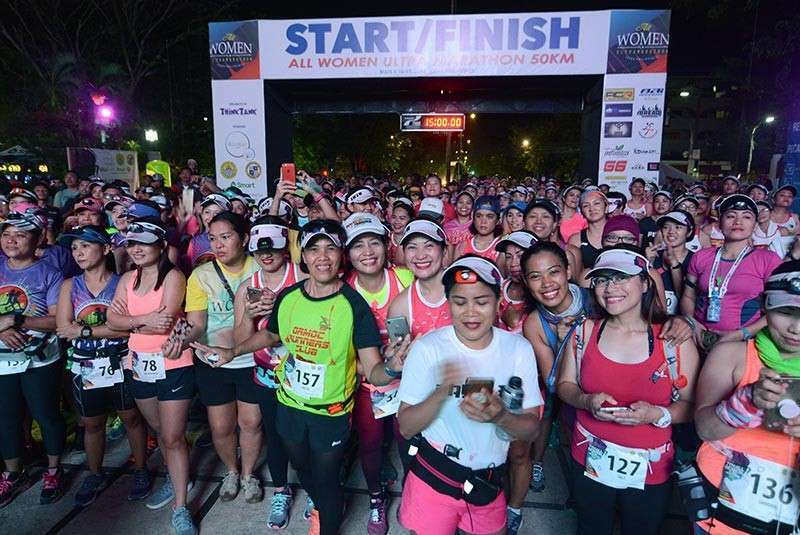 Last March 8, Lea Japson, chairperson of the Cebu City Women and Family Affairs Commission (CCWFAC), urged women to run for public office. The candidate for Cebu City councilor said this in her speech during the Cebu City Government’s commemoration of International Women’s Day. As reported by SunStar Cebu’s Razel V. Cuizon, Japson said that joining politics, a traditional enclave of men, will enable women to have their voices heard and create an impact on communities. Public office is one of many avenues for public service. Yet, governance is not only the province of politicians but also of other stakeholders as crucial for representing the voices of the marginalized denied representation or ignored in the negotiations limited to the powerful and the influential. Women’s participation in people’s organizations, women’s advocacy groups, nongovernment organizations and civil society are pivotal for the collectivization of voices and mobilization of resources to push for the agendas benefitting the people and also for holding to account those occupying positions of power and handling public resources. Cebu City has a long history of women leading in advocacies and initiatives to end domestic abuse, alleviate poverty, resist environmental degradation, promote reproductive health rights, counter intolerance of gendered others such as the lesbians, gays, bisexuals, and transgenders, denounce extrajudicial killings and other causes promoting inclusive governance. Women’s empowerment recognizes the diversity of potentials and opportunities. Exercising the autonomy to be who they are and who they want to become, all women are, in a sense, both “malakas (strong)” and “maganda (beautiful),” with manifold powers to change the discourses limiting their self-actualization.